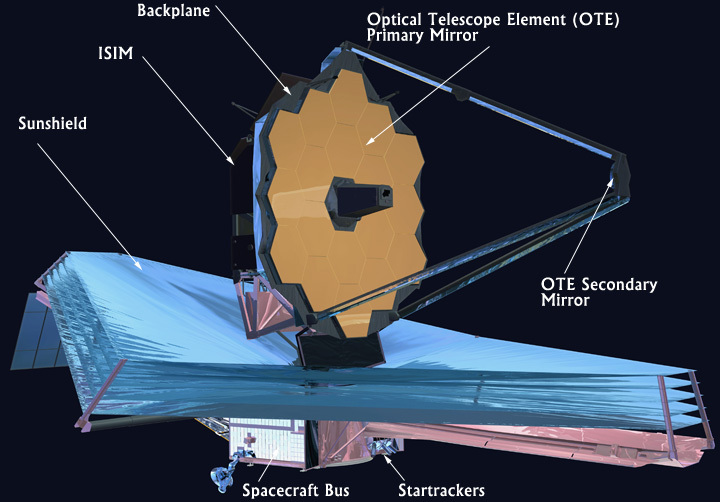 The James Webb Space Telescope's primary science comes from infrared light, which is essentially heat energy. To detect the extremely faint heat signals of astronomical objects that are incredibly far away, the telescope itself has to be very cold and stable. This means we not only have to protect Webb from external sources of light and heat (like the sun and the earth), but we also have to make all the telescope elements themselves very cold so they don't emit their own heat energy that could swamp the sensitive instruments. The temperature also must be kept constant so that materials aren't shrinking and expanding, which would throw off the precise alignment of the optics. 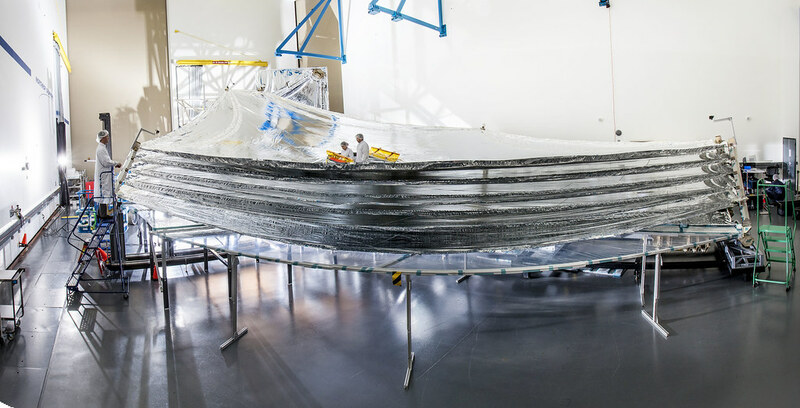 To accomplish all of this, Webb deploys a tennis-court sized Sunshield made of five thin layers of Kapton E with aluminum and doped-silicon coatings to reflect the sun's heat back into space. The Kapton is a commercially available polyimide film from Dupont, while the coatings are applied to a specialized Webb specification. Each layer is coated with aluminum, and the sun-facing side of the two hottest layers (designated Layer 1 and Layer 2) also have a "doped-silicon" (or treated silicon) coating to reflect the sun's heat back into space. 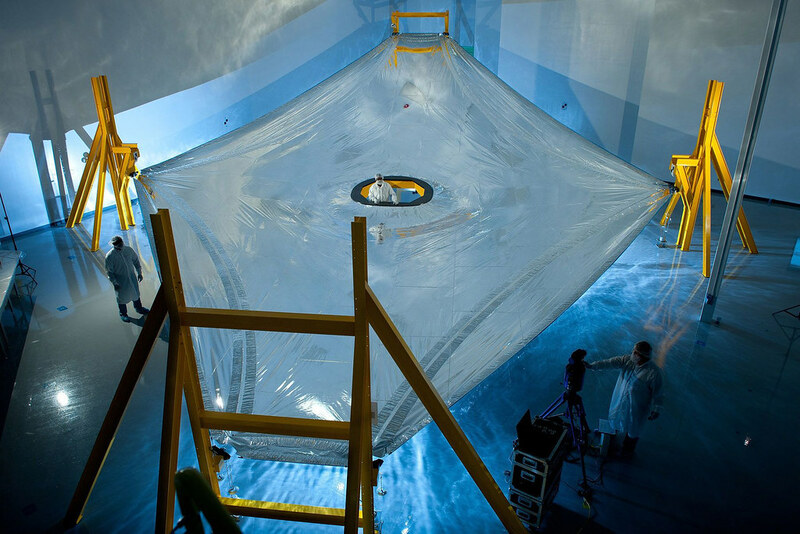 The sunshield is a critical part of the Webb telescope because the infrared cameras and instruments aboard must be kept very cold and out of the sun's heat and light to function properly. The size, position, spacing and shape of the Sunshield layers are also very important - more information on these aspects can be found on our sunshield page.